For most people, Daniel Ellsberg is known mainly for — or only for — the Pentagon Papers he leaked in 1971. And that’s plenty. It set in motion a landmark First Amendment case and led to shifts in public opinion that helped quicken the US withdrawal from Vietnam and the end to that war. Ellsberg was back in the public eye recently in relation to the epic 10-part PBS series on Vietnam, which included a lengthy segment on the Pentagon Papers — but his absence from the series as an interview subject drew criticism. Coming up: a movie drama on the Papers directed by Steven Spielberg. But, for me, the name Ellsberg does not immediately evoke “Vietnam” but rather “anti-nuclear.” And now he has written a book titled The Doomsday Machine: Confessions of a Nuclear War Planner, to be published by Bloomsbury in December. In it he reveals that the 7,000 pages of the Pentagon Papers that he copied from his office at the Rand Corporation in 1969-70 were only “a fraction” of what he had borrowed from office safes. Much of the rest amounted to the “other” Pentagon papers — secret documents on US nuclear war plans and capabilities. In Doomsday Machine — the title taken, of course, from Dr. Strangelove— he discloses that he intended to release all of these copies at the same time but became convinced that it was vital to first concentrate on a war already raging rather than on one that was even more deadly but not at hand (although the threat certainly was). His story of what happened to the nuclear papers is almost worth the price of the book, as they are hidden in a compost pile, then at a garbage dump, before the outer fringes of a hurricane scatter them to history. Ellsberg has since obtained some of them again via FOIA requests and other means. While I wrote about the Pentagon Papers in the early 1970s, my close connection with Ellsberg began only in the 1980s after I became the editor of Nuclear Times magazine. Ellsberg, then (and still) living in the San Francisco area, had started appearing at antinuclear protests — the “freeze” campaign was in full swing across the country. Naturally I wanted him to write an essay for the magazine on this subject but I was warned that while he often tried to write articles he “never finishes them.” When he completed a column for us, it drew wide attention as his first published piece in many years. And so began our friendship. 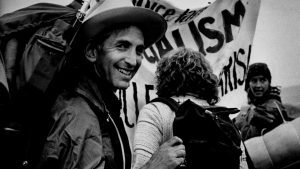 His anti-nuclear activism only increased, leading to his arrest at numerous protests, including at the Nevada test site, over the next decade. Most of the world still knew him only for the Papers, but he had become a hero in anti-nuclear circles. We had long talks, in person or over the phone, about nuclear issues and about Hiroshima, a subject I had written about for dozens of newspapers and magazines after my visit there in 1984. He took particular interest in the book I was writing with Robert Jay Lifton, Hiroshima in America: Fifty Years of Denial, and attended with me several of the annual gatherings at Lifton’s summer home in Wellfleet, Massachusetts. 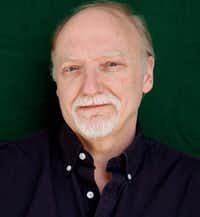 At those retreats he would talk about his anti-nuclear civil disobedience and grow quite emotional discussing his little-known work on nuclear war plans that preceded his months in Vietnam in the mid-1960s. But he had not written widely about that. In recent years, Ellsberg has been hailed by many and decried by some as “the world’s most famous whistleblower,” often interviewed for his early support for WikiLeaks, Bradley Manning and Edward Snowden. But his passion — and my own — surrounding nuclear threat has never faded. I wrote a book, Atomic Cover-Up, on the US suppression of film footage from Hiroshima that he deeply appreciated. In my current book, The Tunnels, peak nuclear dangers during the Cold War play a key role as I cover escapes under the Berlin Wall and how the Kennedy White House tried to kill US television coverage of them. This happened in 1962, at a time when Ellsberg was intimately involved in nuclear theorizing and “game” play. One reason JFK did not support tunnel escapes and publicity about them, was fear that it might spark a nuclear confrontation with the Soviets. He managed to scuttle Daniel Schorr’s CBS coverage and delay an NBC primetime special, The Tunnel, but when the latter finally aired it would stand as a landmark in TV history and profoundly influence a generation of broadcast journalists (including Bill Moyers). So, for all these reasons, I was particularly pleased to read Ellsberg’s upcoming The Doomsday Machine, already hailed in blurbs by everyone from Edward Snowden to Arundhati Roy. Ellsberg, now 86, wrote an autobiography about 15 years ago, but this is his first book tracing his full encounter with nuclear weapons. It goes back to his teen years in the postwar 1940s when he read John Hersey’s Hiroshima, which would inform his nuclear views for the rest of his life. 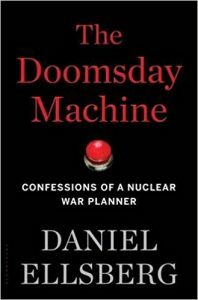 In the book, even though I thought I knew Dan well, I was surprised to read that he belatedly learned that his father, a builder, had top-secret clearances and refused to work on the hydrogen bomb project on principle — and cited Dan introducing him to the Hersey book as a turning point. Part I of the book, making up about two-thirds of the pages, is titled “The Bomb and I,” and kicks off with the chapter, “How Could I: The Making of a Nuclear War Planner.” We follow his early career, which included stints in the US Marines and at Harvard, to Vietnam and to Rand, with nuclear risk always in the background, if not the foreground. I was surprised to learn that as an avowed Cold Warrior he had played a key role in drafting one of the key documents in my Tunnels book, the official, step-by-step US war plan for initiating a first-strike nuclear attack. Then his book moves on to two subjects at the heart of my Tunnels: the Berlin crisis and the Cuban missile showdown. On Cuba he reveals in a straightforward fashion his intimate involvement as an adviser to White House insiders before and during the October 1962 episode. Ellsberg was in the “dovish” camp, advising those around Kennedy to first try blocking Soviet shipments to Cuba instead of following the Joint Chiefs’ urgings to bomb and/or invade the island. We all know the happy ending to that crisis, but in the following chapter Ellsberg covers what he, and the public, did not know at the time: the full extent of how close we came to World War III, not because of actions by Soviet or American leaders but the dangers posed by trigger-happy Cubans manning anti-aircraft batteries and Soviet officers in submarines. But, as in so much of the book, it’s not merely “history” but a warning for today with many of the same technological — and human — elements still holding sway. In the final third of the book, Ellsberg goes beyond his personal experiences to tackle the track record and philosophy of what he calls “bombing cities,” “burning cities” and “killing a nation” before concluding with the real driving force of this book, and why it’s so significant today: a close study of US “first-use” policy. Yes, no matter the president, from Truman and Ike to Obama and Trump, it has been American policy to launch a nuclear first-strike even if we have not yet been attacked. It is Ellsberg’s belief that multiple presidents have used nuclear weapons in threatening other nations since Nagasaki. He presents a long list of such moments, and along with many, he is particularly worried about Trump’s recklessness toward North Korea. He recalls Trump asking an adviser about nuclear weapons, “If we have them, why can’t we use them?” Trump also wondered if our allies, Japan and South Korea, should consider designing their own nukes. But he also argues that accidental nuclear war is a real threat, and that the final decision to fire weapons may be delegated to subordinates in the US and Russia and probably in other nuclear nations. Vital information about all things nuclear, meanwhile, has been kept from the public for decades: “Like discussion of covert operations and assassination plots, nuclear war plans and threats are taboo for public discussion by the small minority of officials and consultants who know anything about them.” Few in Congress even know much about them. This “systematic official secrecy, lying and obfuscation” guarantees that “most aspects of the US nuclear planning system and force readiness that became known to me half a century ago still exist today” and are “as prone to catastrophe as ever.” Ellsberg calls this “the hidden reality” he hopes to expose in his book — and in my view, he succeeds at that. At a time when nuclear dangers grow, along with activism to combat them — elevated just this week by the International Campaign to Abolish Nuclear Weapons receiving the Nobel Peace Prize — Ellsberg’s book is a timely reminder of the nuclear threat and essential reading in the Trump era.